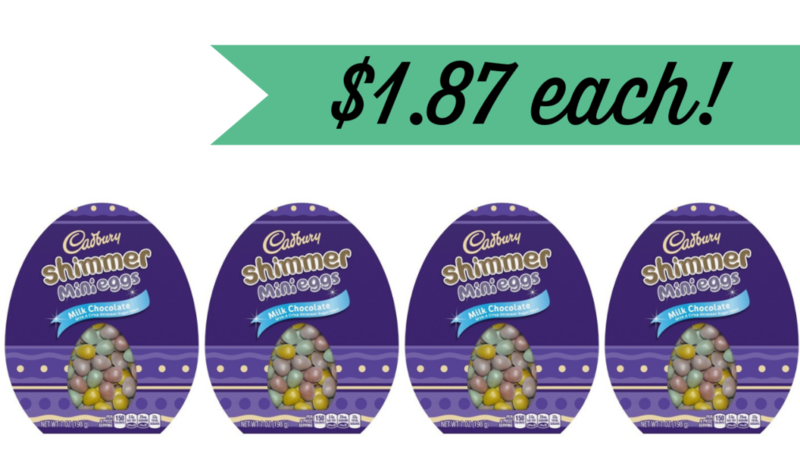 Home > Target > Cadbury Shimmer Egg Boxes | $1.87 Each at Target! Here is a fun item to include in your children’s Easter baskets this year. Stack a B3G1 sale with a high value Cartwheel offer to get these boxes for just $1.87 each!